With over 30 years of experience in the scuba and snorkel industry, our family-run business has been innovating and crafting the Rock 'n Sports Line since 1993. Bill Walters, the owner of Rock 'n Sports, has been in the scuba diving and snorkeling equipment business since the early 70's. He learned the business from his father and proceeded to develop his own company SeaPro. He then started Rock 'n Sports in 1993. 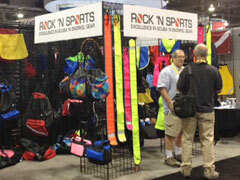 Rock 'n Sports specializes in creating and distributing quality snorkel vests, safety sausages, equipment bags, braided hoses, dive flags, clips and other accessories all at competitive prices for the retail scuba and snorkel industry. We are constantly adding to and upgrading our line of quality products. We also offer custom bags, hoses and snorkel vests, made in the USA, designed to your specifications. 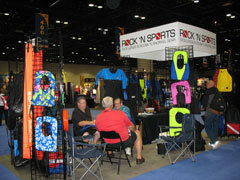 Rock 'n Sports is dedicated to the highest standard of quality and service available in the dive industry. We would like to thank our loyal customers for their continued support throughout the years. We sell to AUTHORIZED DEALERS ONLY. Please contact your local dive store to purchase our quality products.